This nutritious & healthy puppy food is the puppy version of Solid Gold’s original dry dog food, Hund-N-Flocken. 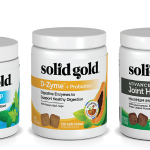 The holistic & natural ingredients (and the funny-sounding name) were inspired by Solid Gold founder, Sissy McGill. Introduce your growing puppy to the finest, tender lamb and a well-balanced meal full of high-density protein and whole grain brown rice for optimal growth and development. Puppies are a work in progress, so it’s never too early to start good habits to help unleash their inner gold! Natural, holistic dry dog food with added vitamin, minerals and amino acids – ideal for medium & large breed puppies. Made with fine, tender, delicious lamb to provide a well-balanced meal for medium and large breed puppies. 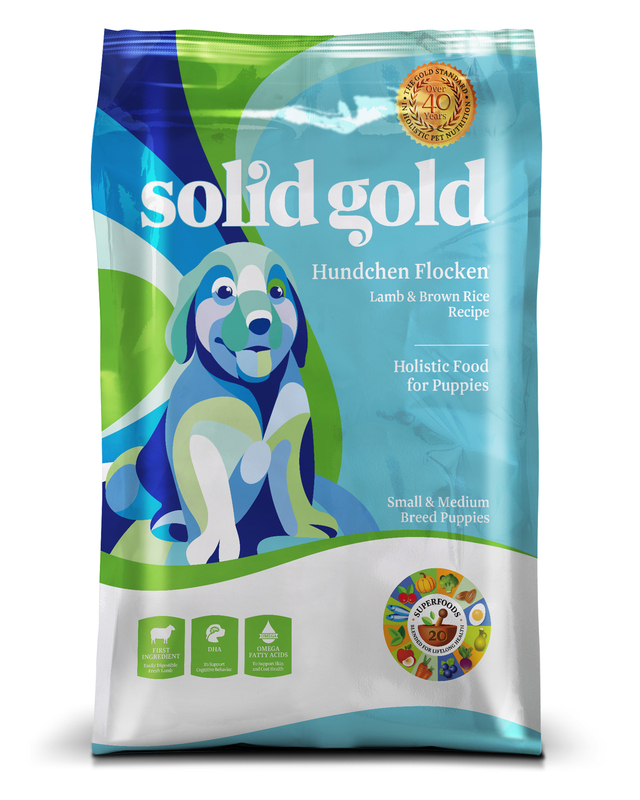 Easy to transition to Hund-N-Flocken, Solid Gold’s Lamb & Brown Rice formula for medium to large adult dogs. No corn, wheat or soy which are common allergens for dogs. 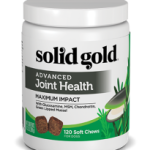 Unleash your Dog’s Inner Gold & Experience the Sold Gold Difference – satisfaction guaranteed! *Note, smaller dogs (or those with a faster metabolic rate) can continue eating puppy food (or switch to MMillennia during their adult lives. Both our Hund-n-Flocken and Hundchen Flocken can be mixed with a little water if desired. However, we do not recommend soaking the kibble as many dogs do not like to eat soggy food. In addition, if the food is left dry, the crunchy texture will assist in keeping the teeth clean. Ingredients: Lamb, Lamb Meal, Ocean Fish Meal, Brown Rice, Peas, Pearled Barley, Pea Protein, Canola Oil (preserved with mixed Tocopherols), Rice Bran, Tomato Pomace, Dried Eggs, Flaxseed, Natural Flavor, Choline Chloride, Salt, DL-Methionine, Potassium Chloride, Salmon Oil (preserved with mixed Tocopherols), Taurine, Dried Chicory Root, L-Carnitine, Carrots, Pumpkin, Apples, Cranberries, Blueberries, Broccoli, Parsley, Spearmint, Almond Oil (preserved with mixed Tocopherols), Sesame Oil (preserved with mixed Tocopherols), Yucca Schidigera Extract, Dried Kelp, Thyme, Lentils, Vitamin A Supplement, Vitamin D3 Supplement, Vitamin E Supplement, Zinc Sulfate, Niacin, Ferrous Sulfate, L-Ascorbyl-2-Polyphosphate (Source of Vitamin C), Calcium Pantothenate, Thiamine Mononitrate, Copper Sulfate, Riboflavin, Pyridoxine Hydrochloride, Manganese Sulfate, Zinc Proteinate, Folic Acid, Calcium Iodate, Manganese Proteinate, Copper Proteinate, Sodium Selenite, Biotin, Vitamin B12 Supplement, Rosemary Extract, Dried Lactobacillus Acidophilus Fermentation Product, Dried Enterococcus Faecium Fermentation Product, Dried Lactobacillus Casei Fermentation Product. ^Not recognized as an essential nutrient by the AAFCO Dog Food Nutrient Profiles.